You knew we weren't going to make it through two days in a row without more sniping between Jackson's incumbent mayor Harvey Johnson, Jr. and challenger Jonathan Lee. During his first two terms The City of Jackson was investigated for mismanaging $519,000 worth of federally funded grants. In 2008 The City of Jackson was forced to "repay more than $294,000 on a grant because the grant was not spent in the required time period. Another $29,412 had to be repaid for the same period." (Clarion Ledger, January 28, 2008) Again, an investigation that came as a result of the mismanagement of federally funded grants during Mayor Johnson's first two terms. It's taken 10 years to even begin repairs on Fortification Street (the City received $6.3 million to make improvements to Fortification Street in 2002). The Fortification Street project began in July 2012--approximately 10 months before Election Day, May 7, 2013. The second accusation against Johnson over the $294,000 left on the table is accurate, according to a story the Clarion Ledger's archive. The story is about the money mismanagement of the Frank Melton administration, but mentions that many of the problems that mayor had were systemic from the Johnson years. It was an error that happened under Johnson that cost the city the grant money. The e-mail went on to say that Johnson received $13,750 in campaign contributions from a prominent law firm, which was in turn "awarded" $170,000 worth of work as a part of the Siemens deal with the city to repair water infrastructure and another, who gave $16,500 in 2009, was given $100,000 for work in the Siemens deal. The JFP is in the process of trying to procure a copy of Johnson's campaign finance reports from 2009. "It’s come to our attention that once again… Jonathan Lee is using deception and lies in an attempt to mislead the public. He recently released information about our record that is false and taken out of context. "Instead of telling half truths about our campaign, Mr. Lee needs to focus on his own finances. The fact of the matter is Mr. Lee has had four default judgments entered against his business. And, he deliberately misled the public when he touted that he was a business owner. In fact, he mentioned it during his commercials, on his website, and through social media. The fact is, while he was in charge of his family business, Jonathan Lee ran it into the ground. Eventually, vendors had to file lawsuits, obtaining default judgments of more than $150,000, in order to recover the money that Mr. Lee’s company owed them. When the media found out about Mr. Lee’s mismanagement of his second generation company, Mr. Lee suddenly announced that he never owned the company and literally sat back, hiding from the media, even though the lawsuits and judgments occurred as a result of his tenure as president of the company. "Don’t be fooled by the lies and deception of Jonathan Lee. Don’t let his half truths and misleading statements allow him and the Republican establishment to take over our city." This thing is getting way off topic, but it sure is interesting. Give us a little bit, all, and we will factcheck all this, whichever way it falls. The JFP comment section has been entertaining the last few days. But in my memory (and unfortunately I have a long memory), I can't remember a more lackluster field of candidates. I can't decide if it is worth the effort to drive around the corner to the Fire Station next Tuesday. 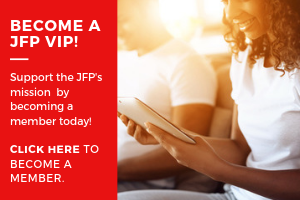 How did the JFP endorse anyone? I would have liked to listen to that discussion. Can I write-in a vote for "Auto-pilot" next Tuesday? Tyrone Hendrix, Lee's campaign manager, called Tyler back a little bit ago and refused to give us backup materials for the above allegations. So we will continue to investigate them on our own and get back to y'all. Thank you for your patience. Ours, on the other hand, is running thin for allegations without information to back it up. Hearing a lot of those this week. When we can find anything to link to about the Lee allegations of Johnson's, we will link to those as well.